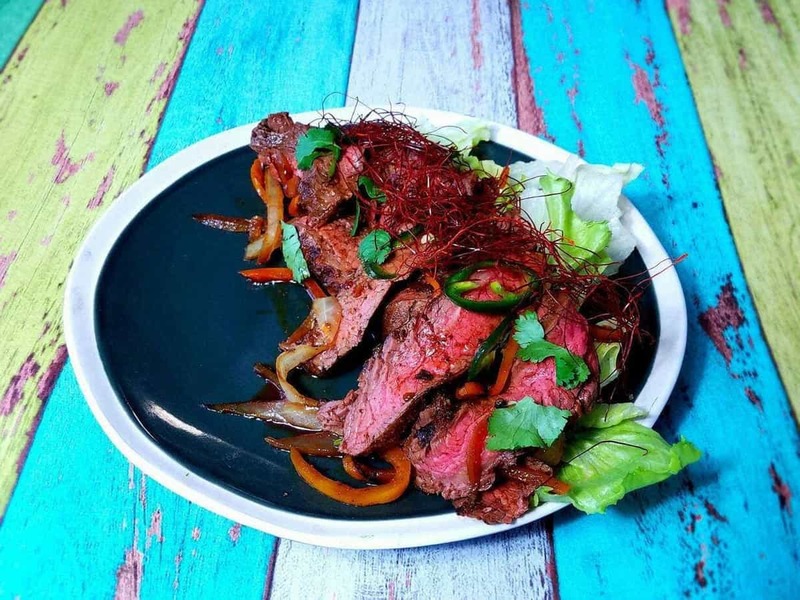 Mexican Steak Keto Fajitas on a hot Saturday night with some friends outdoors…. perfection! Maybe even a little Keto Margarita as well lol! Another example of beautifully seasoned Mexican food that is fresh and lively and just perfect on this lifestyle. This is my favourite kind of food. 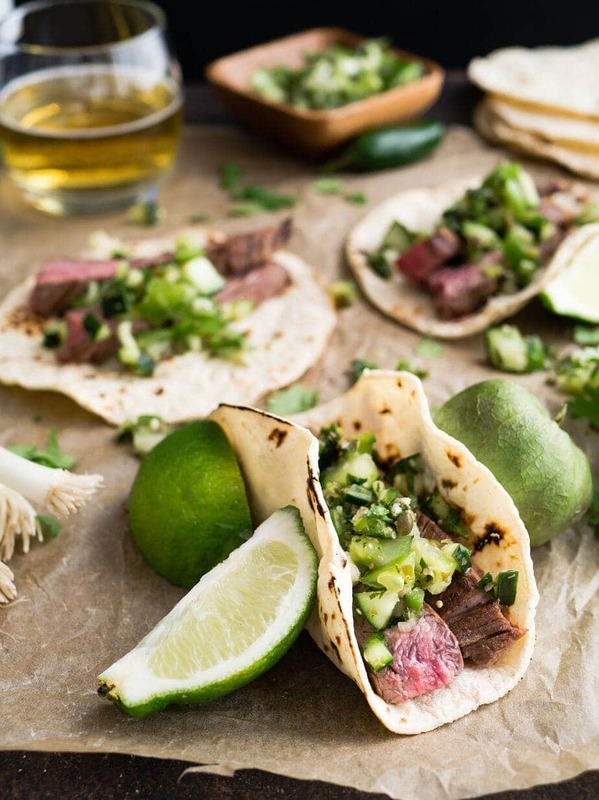 Fajitas are great when entertaining as you can just have a load of share bowls with guacamole, pico de gallo, salad and a nice platter of beautifully seasoned meat, with a fresh squeeze of citrus. Pure Bliss! This is my idea of the perfect meal! I hope you love this recipe and show it some love with a click of the yum button below and pin it to your favourite board. Tell me how you enjoyed yours and with what sides. Coat flank in seasoning and leave overnight to marinate. Heat oil in griddle pan over medium heat. Add your flank and cook 5-7 minutes each side until cooked medium rare (your cooking time may be more or less depending on the thickness of your flank). When nearly done, add your capsicum and onion and saute on the side of the pan until soft. When cooked, slice the flank into thin slices against the grain. Toss with juices from the pan, capsicum, onions, jalapeno, and coriander leaves. Serve with fresh lime and your favourite accompaniments.